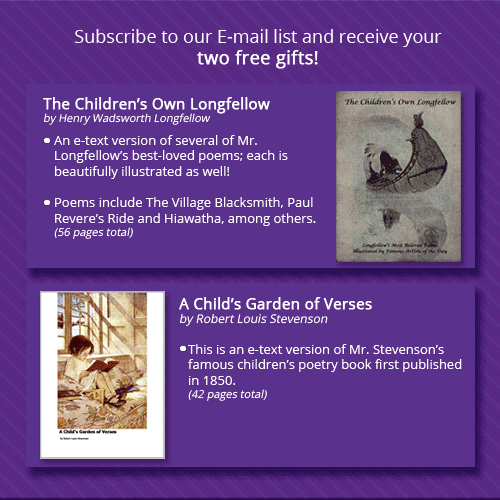 Join our helpful newsletter list and receive these two classic e-books of beloved poems – perfect for your homeschool studies! Add your name and primary email address below. We don’t like spam any more than you do, so we promise to treat your personal information privately. If you subscribe and change your mind, you can unsubscribe at any time. Adobe Acrobat Reader will be required to open your two ebooks. Click the button above this paragraph (top left) to download it for free.